This reader in our I-book series deals with the rising tensions in the Persian Gulf between the West and Iran and what appears increasingly to be a collision course for war. We examine the heart of the matter in order to empower our readers with knowledge and truth about what is really happening in the region and why, and, more importantly, what is at stake. The year 2012 may become known as a watershed for humanity – the year when mankind was precipitated into a global conflagration involving nuclear weapons. The signs are indeed grimly ominous as formidable military forces converge on the Persian Gulf in the long-running stand-off between the United States and Iran. On side with the US are its European allies in NATO, primarily Britain, Washington’s Middle East client states: Israel and the Arab monarchies of the Persian Gulf – all bristling with weapons of mass destruction. Recent naval exercises by Iran in the Strait of Hormuz have also displayed a fierce arsenal of missiles and military capability, and Iran has strategic alliances with Russia and China, both of whom will not stand idly by if their Persian partner is attacked. As we have consistently analysed on Global Research, the conflict between the US-led powers and Iran has wider ramifications. It is part and parcel of Washington’s bid to engineer the social and political upheavals across the Arab World in order to redraw the region in its strategic interests. It is no coincidence that fresh from NATO’s conquest of and regime change in Libya, the focus has quickly shifted to Syria – a key regional ally of Iran. As Michel Chossudovsky has pointed out “the road to Tehran goes through to Damascus”. Regime change in Syria would serve to isolate Iran. Subjugating Iran and returning it to Western tutelage is the prize that Washington and its allies have been seeking for the past 33 years ever since their client the Shah, Mohammad Rezā Pahlavi, was deposed by the Islamic Revolution in 1979. Iran is an energy-rich colossus, with oil and, more importantly, natural gas reserves that put it, with approximately 10% of global reserves, in the world’s top three oil economies alongside Washington’s client states of Saudi Arabia and Iraq. In sharp contrast, the US has less than 2% of global oil reserves. The conquest of Iran’s oil riches is the driving force behind America’s military agenda. The US-led conquest of Iraq – costing over a million lives in a nine-year occupation – is part of Washington’s long-held plans to dominate the globe’s vast energy resources that reside in the Persian Gulf and Central Asian regions. The decade-long war in Afghanistan is another flank in this US bid for hegemony over the fuel for the capitalist world economy. For nearly three decades, the US-led Western capitalist world has been deprived of exploiting Iranian energy wealth. The Islamic Republic has remained defiantly independent of Washington’s control, not just in terms of its vast hydrocarbon riches, but also politically. Iran is no puppet of the West as it was formerly under the despotic Shah Mohammad Rezā Pahlavi. Tehran has shown itself to be a trenchant critic of Western imperialist meddling in the region and fawning over the criminal Israeli persecution of Palestinians. Another important source of Western animus towards Iran and the deeply held desire for regime change is the loss that the Iranian revolution implies for the lucrative American, British and French weapons industry. When Shah Mohammad Rezā Pahlavi was kicked out in February 1979, so too was a massive market for Western arms dealers. The recent $50 billion arms sales to Saudi Arabia – the “biggest-ever in history” – that had the Pentagon salivating, would be easily replicated in Iran, if a similar client regime could be installed there. From the Western powers’ point of view, Iran is both an elusive prize and a frustrating obstacle. Bringing Iran back into the orbit of Western capitalist control has the added significance of depriving energy and other geopolitical advantages to rival powers, in particular Russia and China. In a strategic review earlier this month, Washington highlighted China as its pre-eminent global competitor in the coming decades. The militarized agenda towards China was also heralded by US President Barack Obama during his Asia-Pacific tour at the end of 2011. China is heavily dependent on Iranian oil. Some 20 per cent of all Iranian crude oil exports are traded with China. The latter has billions of dollars worth of energy investments in Iran, in particular the natural gas sector, which energy analysts view as the primary fuel in forthcoming decades. Washington’s policy of hostility and regime change towards Iran and furthering its hegemony over this vital region is as much about wresting control from its perceived competitors, Russia and China. That factor takes on added importance as America’s economic power wanes. While the most advanced weapons system are used, America’s wars are never presented as “killing operations” resulting in extensive civilian casualties. While the incidence of “collateral damage” is acknowledged, US-led wars are heralded as an unquestionable instrument of “peace-making” and “democratization”. The selection of articles below is intended to give readers a condensed overview of the events and issues at stake in the so-called stand-off between the US, its allies, and Iran. We have selected articles with a news emphasis while also providing a historical background. In Part I, Playing with Fire: Covert Acts of Aggression, Provocation and War, our reports and analyses show how the military build-up in the Persian Gulf has an alarming deliberation and potential for an all-out regional conflict. We also expose Washington’s criminal covert war against Iran, including the assassination of Iranian scientists and the incursion of the country’s territory with spy drones. However, we don’t merely report the occurrence of these events, our writers show how this mainly US-led militarization is part of the wider strategy for American global dominance. We also demonstrate in Part II, War-Making is a Crime: The Latest Episode in America’s Long Record, that the belligerent policy of Washington and its allies is criminal. Before even firing a shot, the Western powers are violating international laws and protocols of diplomacy. Equipped with this legal insight and knowledge is essential for citizens to mount an effective anti-war movement. In this section, we also provide a historical background showing that Washington’s hostility towards Iran is but the latest episode in a long history of criminal war-making by the US. 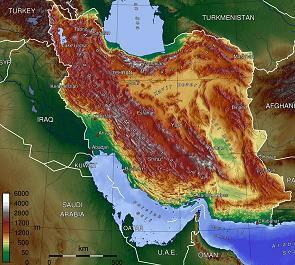 Central to the Western powers’ avowed rationale in the Persian Gulf is their presentation of Iran as a threat to world peace, in particular from its alleged development of nuclear weapons. In Part III, Media Manipulation: Lies, Distortions and Selling Yet Another War to the Public, we dispel the myths, fog and fabrications behind these allegations to show that Iran does not have, nor is intending to build, nuclear weapons. Its “nuclear ambitions” (a phrase so often said with sinister connotations) are to develop civilian energy and medical capabilities – well within the provisions and entitlements of the Non-Proliferation Treaty. Countless inspections over several years by the United Nations’ nuclear watchdog, the International Atomic Energy Agency (IAEA), have not found any evidence to support Western claims. Yet these well-worn and hollow claims continue to be recycled in the mainstream media. The IAEA has also shown itself to have become a willing political tool for Western governments and intelligence agencies by casting sinister doubt on the Iranian nuclear programme even though the IAEA has not found any proof to justify such doubts. We show that the supposed nuclear threat feared by the Western powers is a specious pretext for their otherwise criminal aggression towards Iran and its 80 million people. The region is on a hair-trigger for a conflagration that would involve nuclear weapons and the collision of global powers in what would constitute World War III. The consequences are barely imaginable for the loss of life in such a scenario and for the very future of the planet. Yet all the while, the mainstream media has served to justify this march to war or to downplay its horrific possibilities. Such an action would result in “the unthinkable”: a nuclear holocaust over a large part of the Middle East. 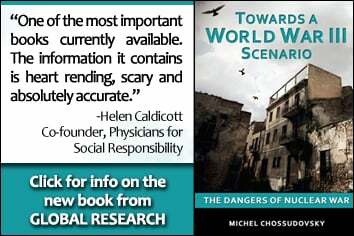 It should be noted that a nuclear nightmare would occur even if nuclear weapons were not used. The bombing of Iran’s nuclear facilities using conventional weapons would contribute to unleashing a Chernobyl-Fukushima type disaster with extensive radioactive fallout. The “Globalization of War” involving the hegemonic deployment of a formidable US-NATO military force in all major regions of the World is inconsequential in the eyes of the Western media. War is not front page news in comparison to the most insignificant issues of public concern, including the local level crime scene or the tabloid gossip reports on Hollywood celebrities. The broader implications of this war on Iran are either trivialized or not mentioned. People are led to believe that war is part of a “humanitarian mandate” and that both Iran as well as Iran’s allies, namely China and Russia, constitute an unrelenting threat to global security and “Western democracy”. In the face of ceaseless media disinformation, We at Global Research are committed to raising public awareness of the injustice and criminality being perpetrated by Western governments. We began this News Reader by saying that 2012 could be a watershed year for ominous reasons. It could also be a watershed year for a better future in which citizens rise up to avert war and overthrow their oppressive governments, to create societies that are worthy of human beings. In order to achieve that, we first need to know what is at stake and why. This Online News Reader (N-Book) aims to do that. Beating the Drums of War: Provoking Iran into “Firing the First Shot”? Very few people in America are aware or informed regarding the devastation and massive loss of life which would occur in the case of a US-Israeli sponsored attack on Iran. The Pentagon’s own war simulations show that a war in the Persian Gulf with Iran would spell disaster for the U.S. Navy. War Plan Iran: The US Finally Admits Its Criminal Bankruptcy. “Are they trying to develop a nuclear weapon? No.” says US Defence Secretary Leon Panetta. So if Iran is not even trying to develop a nuclear weapon, what then is the criminal US warmongering predicated on? The centuries-long history of how media has been used to whip the nation into wartime frenzy, dehumanize the supposed enemies, and even to manipulate the public into believing in causes for war that, decades later, were admitted to be completely fictitious. Washington is in the process of concocting a new string of lies pertaining to Iran’s nuclear program with a view to justifying the implementation of punitive bombings. A Cold War between Tehran and Washington has been raging across the Middle East from Lebanon to Iraq and the Persian Gulf with the use of spies, drones, assassinations, and perception campaigns. With ongoing war games on both sides, armed hostilities between the US-Israel led coalition and Iran are, according to Israeli military analysts, “dangerously close”. Spread the word, reverse the tide of war, forward the I-Book to friends and family, post on facebook. The Online Interactive Series is provided free of charge to our readers.